If you’ve been following me on Instagram (@prepessentials) you may have recently seen an Instagram story where I polled a few of you about your thoughts on the Like to Know It links and app that I (and many other bloggers use) to share our outfit details in posts! The polls were super helpful for me to understand how all of you feel about it, and what I found out more than anything is that a lot of people simply don’t understand how to use it or feel confused! Why Should I Use/Download This App? I use the Like To Know It app to do almost 100% of my shopping these days. 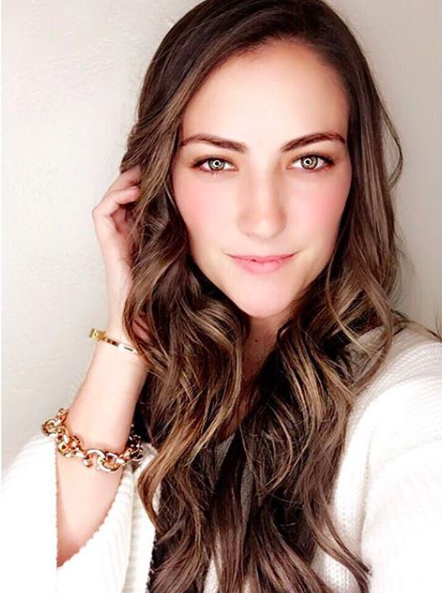 I don’t like to spend just for the sake of spending, but if I realize I need a great dress for an upcoming event, am looking for a cute new accessory, or am making a Christmas Wish List *I repeat, how is it November?! *…the app is the perfect place to go! 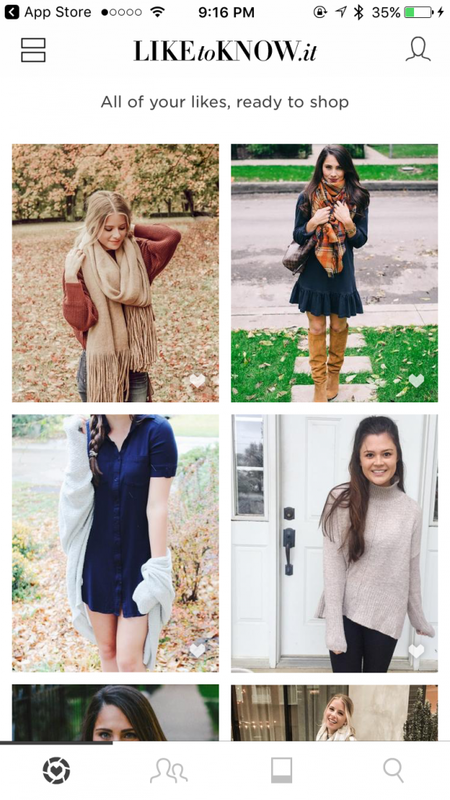 I follow all of my favorite bloggers and fashion inspirations on Instagram (a few of my favorites are @daniaustin, @heatherpoppie, @livvylandblog, @karlierae, @lonestarsouthern, and about 100 more!) and I love being able to scroll through the app like a news feed that shows me all of their recent outfits, sale finds, and great looks to help my shopping be quick, easy and guaranteed to be stylish AF. It’s SUPER simple! First, download the Like To Know It app – It’s free, and you can get it right here! Open the app and create your account. All you need is an Instagram and an email address! Now, any photo on Instagram that has a like.tk.it link on a photo like the one below is something that you can shop in the app. 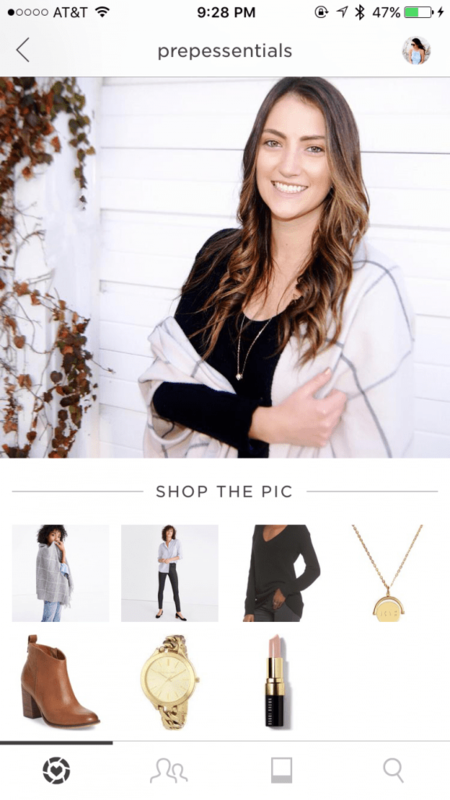 If you “like” that photo or take a screenshot, it will immediately appear in your new fun app with details to shop all the items you see! PS – all of my outfit photos will have this. How Can I Get The Actual Outfit Details? 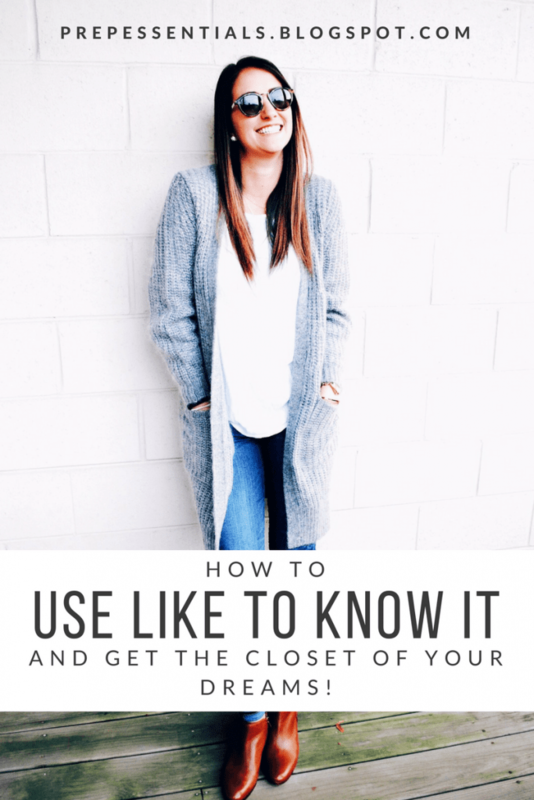 Once you’ve “liked” or taken a “screenshot” of a photo or outfit you love on Instagram, open the Like To Know It App and everything will show up there (like a news feed!). Tap on any photo to get the outfit details and links. I always try to link exactly what I’m wearing, but if it’s sold out or an older item I’ll link similar pieces as well! If there is ever a piece I’m wearing that isn’t linked directly, DM me – I’ll make it my mission to try and find it for you again! Hopefully this post covered all of your questions, but if you’re still confused, comment below and I’ll help you out!